An interfering agent is a substance added to a ​sugar syrup to prevent crystallization. Crystallization can occur with the presence of a single unincorporated sugar crystal, and the resulting change in texture—from smooth and fine to lumpy and grainy—is unpleasant and undesirable in many candies. 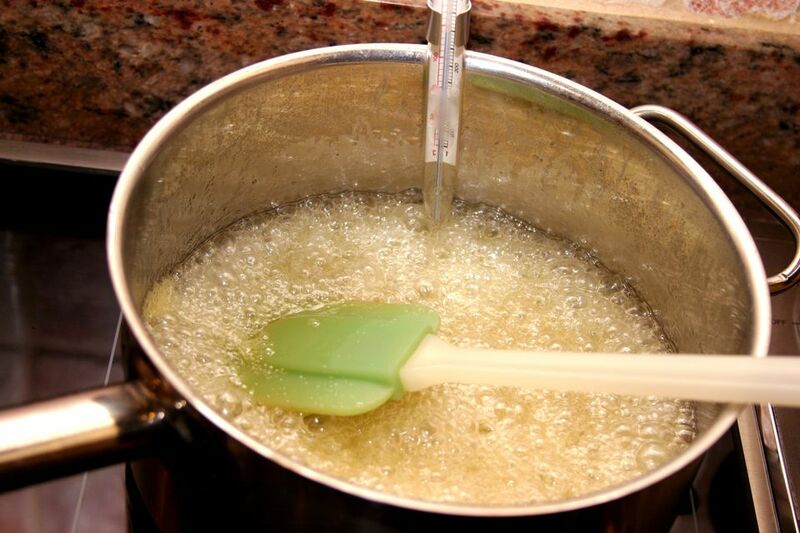 Interfering agents are added at the beginning of the recipe, before the sugar syrup begins boiling, to prevent the crystallization process. Some recipes rely on acids like cream of tartar, lemon juice, or vinegar (in very small amounts) to prevent crystallization.